You may be wondering why we are illustrating this story with pictures of a standard gauge freight train. We could have claimed that this was because, since taking over responsibility for the standard gauge freight traffic (the Pleszew Railway main line is mixed gauge), SKPL has concentrated its efforts on developing this side of the business – but that would not have been completely true. 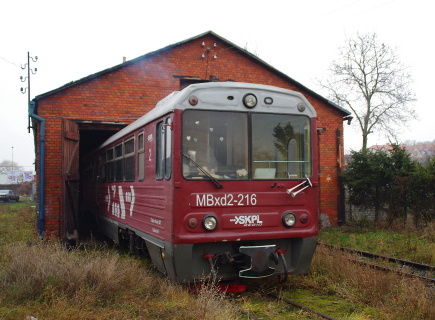 Actually it’s because we can’t find any pictures of the repaired Rumanian railcar that has been running the passenger service since Monday 5 May. The new timetable (three trains a day, on weekdays only) has not (as of posting this) yet appeared on the SKPL webpages. (warning, Polish only) Once again, BTWT is first with the news.